Whether you call them Pee-Kahns, Pee-Cans, or Pee-Kins, there is more to this nut than meets the eye. 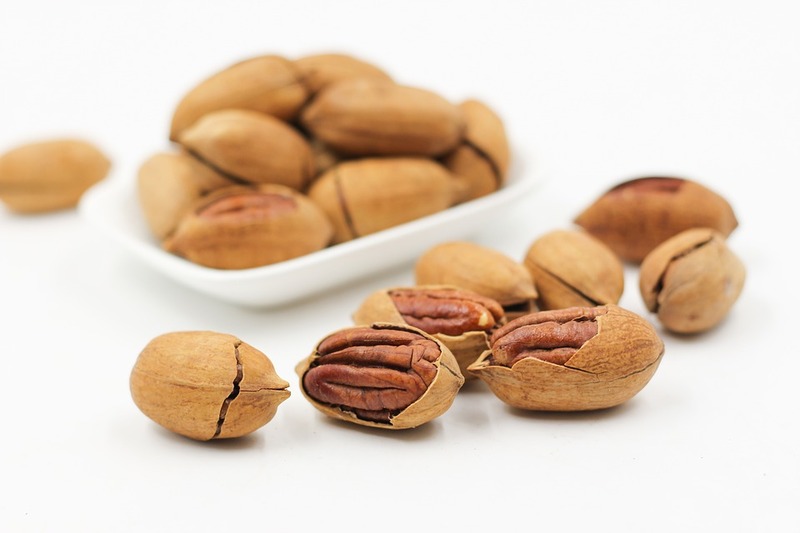 “Pecan” is derived from an Algonquin Indian word meaning “nut that must be cracked by stone”. Once a staple of the Native American Indian diet, it is fitting that some of the 500+ varieties of pecan, are named for prominent American Indian Tribes. Pecans, a member of the Hickory family, are the only nut tree native to the U.S. These majestic trees can reach heights of 150 feet. The average tree begins to produce pecans between 5-7 years of age. Full production is reached around 7-10 years of maturity, while healthy trees can produce harvests for up to 100 years! They are commercially farmed in 15 states, making the U.S. the world’s largest pecan producer, providing 80% of the world’s crop. Georgia is (usually) the nation’s top producer of pecans, harvesting more than 100 million pounds annually. 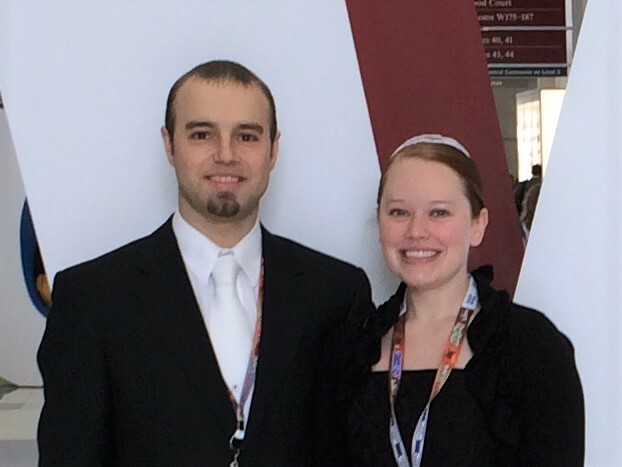 Texas, a close second (and sometimes first), produces approximately 60 million pounds annually. Pecan harvest coincides with its peak selling season in the U.S., mid-October through December. In the U.S. market growers previously struggled to establish a steady demand for their product but in the last decade, pecan growers have seen a sharp increase in year-round demand from an unlikely source, China. 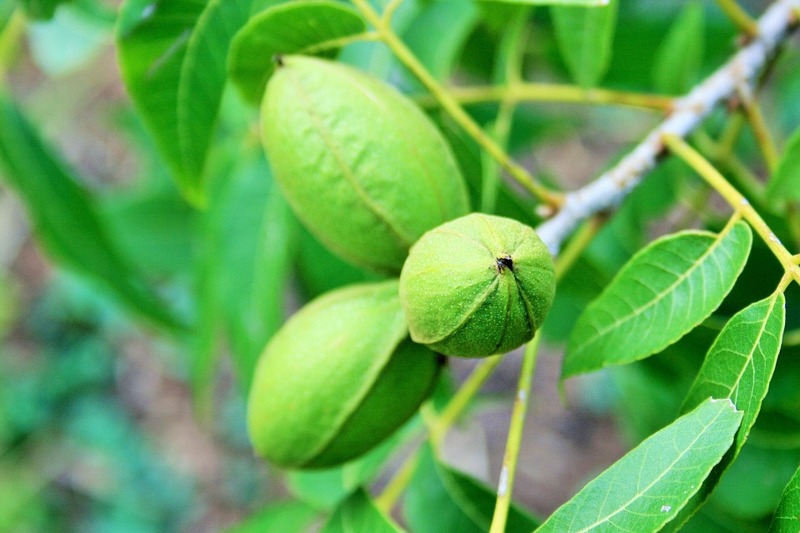 Thanks to the pecans’ similarities to hickory nuts, a Chinese favorite, consumers are now buying the closely related pecan. One Chinese treat is made by cracking the shells, soaking the nuts in a sweet or savory liquid, and then baking it in shell. This treat is traditionally enjoyed during Chinese New Year celebrations. Pecans have been an ingredient in confectionary creations, like pralines, circa the 1700’s, imparting a distinctive rich flavor. High levels of monosaturated oil combined with the fleshy chew, create a delicate balance of sweet, buttery, and savory. Commercial pecan use trends toward improved varieties with “paper shells”, ultra-thin shells that can be cracked by hand. This quality is preferred for easier processing and higher nut meat yield per pound than their thicker shelled, smaller kernel, native pecan relatives. The majority of pecans being commercially produced are the Cape Fear, Desirable, Moreland, Stuart, and Native (Wild Seedling) varieties. The desired sizing for pecans varies by application. The artisan chocolatier usually prefers a larger-sized, (mammoth), high quality pecan piece for decorative use on pralines. The smallest size, pecan meal, can be used as an alternative to white flour. Toasted, roasted, or raw, pecans are an excellent addition for nearly every application. They are also a worthy contender in the health foods category. A 1 ounce serving provides 11 essential vitamins and nutrients. This tiny superfood aids in weight loss, heart health, stress management, disease protection, and supports optimal neurological function. In celebration of National Pecan Month, add some pecans to your next confection, salad, oatmeal, or smoothie. Your taste buds, your health, your customer, and your local pecan grower, will thank you!